Well as some of you will have no doubt seen we now have had the car back for the last couple of weeks and I’ve managed to put about 350-400 miles on her since then. Where to start, well she drives nothing like she used to at all, that’s for sure. Sadly we had some unforeseen complications just before the LMC which meant it wasn’t going to work out taking the car however the wait has been worth it in the end. As you’ll see from the photos below the engine bay is starting to look very tidy now and really is a great centre piece to show off, sadly the more you replace the more you notice the few tatty items, there’s a few pieces that I’d like re-plated long term and I also need to find a way to clean up the screen washer bottle which is looking its age as I refuse to spend a couple of hundred dollars on a new one! 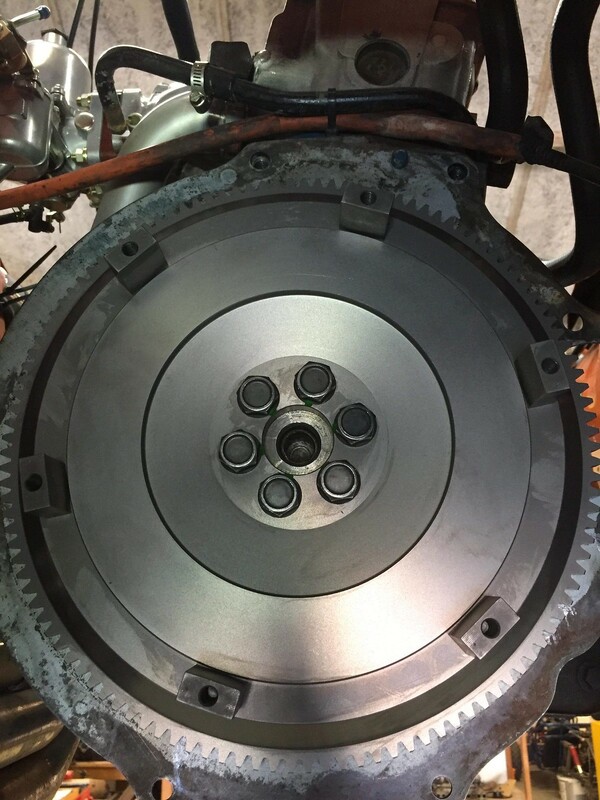 I think it’s fair to say the new centre piece of the engine is the OS Giken Lightweight Flywheel which now allows the engine to rev like a motorbike engine! Considering that I had never intended to even swap this item out until I looked at clutches and was talked into it by you all, I’m amazed at the throttle response now. She really picks up revs fast and drops off very quickly, solid rev matching is more essential (albeit you need to be careful not to over rev either). I really cannot believe how sharp the throttle response now is. 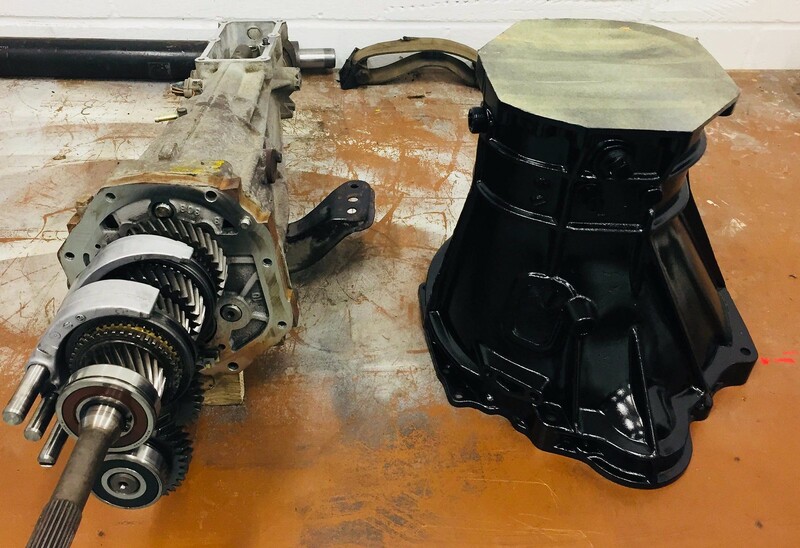 The clutch itself is somewhat a point of contention as in traffic though as it is heavier than desired and really seems to either be on or off. Due to how robust it is though, burnouts, launches or general hooligan behaviour will be very easy even with the limited power we are running. On the move it makes shifting very precise and is perfect for a fast road style car. For now I’ve tried to behave myself more as its bedding in but wheels have been spun and tyres chirped. The quality of the ZTherapy setup is very impressive and they have been restored to a very high standard, the only disappointment was that they did require a fair bit of setup and balancing out of the box so to speak. Now they are in though, they perform very slickly and with the recent engine adjustments have made the engine a complete peach. It’s all about revs and seems to go to a bit over 5k rpm fairly happily, however real world driving its being exercised to around the 4.5k range for road driving. This car certainly now promotes carrying speed given the engines more standard nature. Cooling has been massively improved with the installation of the mishimoto rad and has been kitted out with a low temp thermostat and electric spall fan kit. The whole system has been flushed and temperatures have been dramatically reduced. I had previously thought the temp gauges position of just over half was normal however it now resides at just under the half way mark leaving me thinking that the engine had been running warmer than it should have been with the tired cooling system in place. We’ve got a nicely hidden and trick manual override switch for the fan in traffic and after being stuck at Goodwood I have decided an extra fan will be added for peace of mind and with Europe in mind in the future. Moving back to the drivetrain all of the necessary modifications have been made for the S14 gearbox to be dropped in, new propshaft courtesy of Richie and Subaru LSD. The gearbox seems to work fine however I have noticed that the synco on 4th gear is quite worn and there is an occasional wine which is making it very tempting me to drop the box out and rebuild this one with new syncros and bearings. Anyone know if these are still available from Nissan? The short shifter kit is like operating a rifle bolt when compared to the ridiculously long throws of the original 4 speed! In that respect we are very happy. 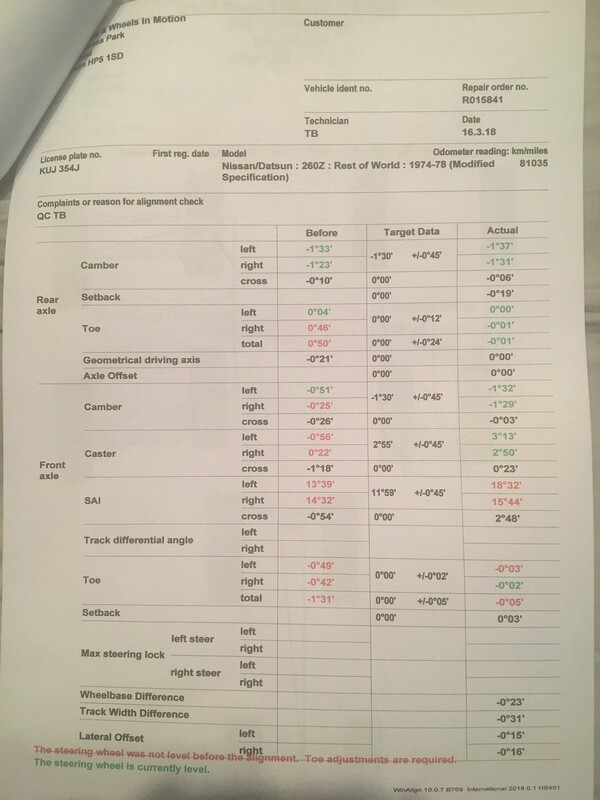 The speedo is also still very wavy and of questionable accuracy despite the correct white 19 tooth replacement speedo cog for the 3.9 diff, another long term item to investigate as the speedo needle has never been very stable. The LSD has certainly made things very entertaining, with sideways action very easy if you so desire. There seems to be a bit of slack/lash when engaging on moving off with makes a slight clunk and it doesn’t seem to like reversing slowly and chatters a bit however it all other respects it performs faultlessly and is very quiet on the move. A couple of you will be pleased to note the rear left is running 4 wheels nuts with a couple of lugs having also been replaced. Another dramatic change has been the installation of the rear ST anti roll bar. This single item really has transformed the cars handling dramatically, it’s quite silly how well the car now handles considering the platform is nearly 48 years old. B roads really have been made so much more fun and the overall package has transformed just with this item. The front bar is still waiting to be fitted as we have decided it will be prudent to reinforce the chassis legs before installation given how chunky the new bar is. The overall suspension package now is however fantastic, its amazed a few people how well it negotiates corners. 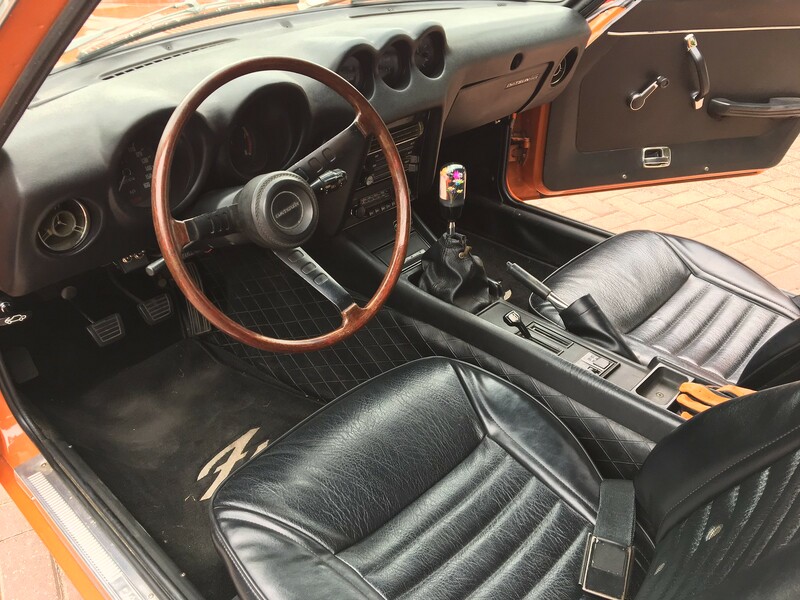 Thankfully the replacement of the lower steering column UJ has removed a huge amount of slack out of the steering and made it far more responsive much to my delight, the car really engages you and provides lots of positive feedback when you want to press on! Long term the only addition I can see will be strut bars to help out further when funds allow. 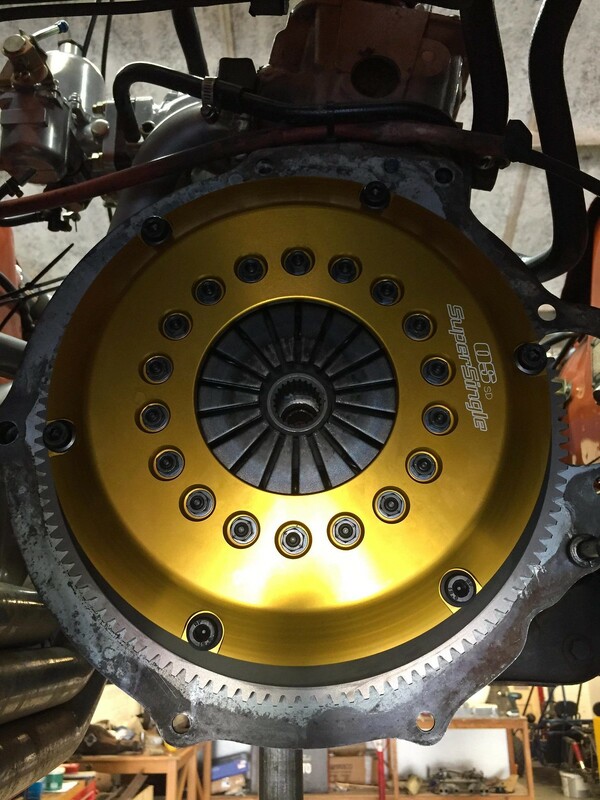 We are very much shaking down the car given the huge amount of custom work that has been completed and various unknown parts installed. So far on the to do list is a vibration that comes in at around 60 & 80 while cruising, I’m not sure if this could be a propshaft balance issue having been told how precise this needs to be but will be investigated. 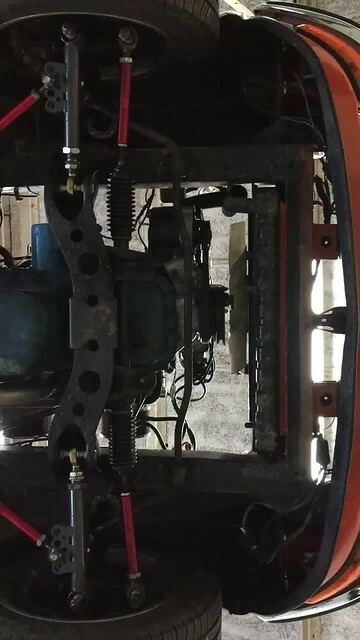 Fourth gear syncro is also fairly high up the list as you cannot rush it and some attention to the gearbox however otherwise she’s running better than ever. The car is a far cry from the one that we purchased 2 years ago, with the exception of the half shafts I think everything drivetrain related has now been replaced. I think it’s only the brake master cylinder left in the engine bay before all major items have been replaced as well. Depending on my schedule the car is going to have a thorough check over in the next month or two and be looked at more seriously to get it running spot on and check that we’ve caught everything. At this point I cannot say a big enough thank you to Iain at Passion Engineering (and his dad who pitched in as well), while it’s taken me 5-6 months for me to plan everything out and source all of the parts his engineering skills have made this part of the project a reality. Due to time and space I didn’t get to attempt a few of the jobs which I would have very much liked to have tackled myself, however when it comes to some of the bigger jobs such as the fabrication and repair of items his skills are second to none. He also bent over backwards in his efforts to try and get the car Le Mans ready, working full weekends and putting in lots of extra hours to get it just right. Sadly some unforeseen issues stopped us but that’s meant to finished product was not compromised in any way. I’ve mentioned all of the key items above however its all of the little details where he excels such as my hidden fan override switch under the dash (without altering the car in any way) and rerouting on the rocker cover breather to be more discrete that makes all the difference. 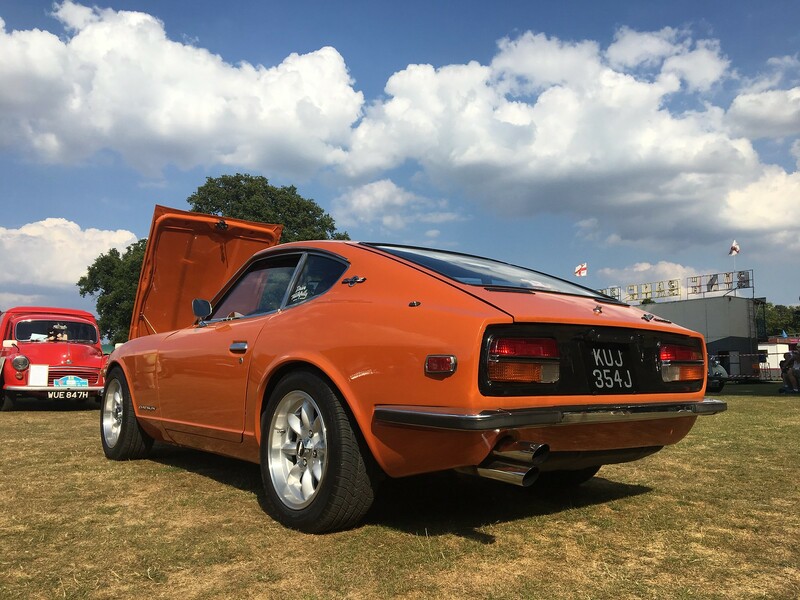 As you can well imagine I’m completely broke on the Datsun fund this year. That doesn’t stop future plans though and in the pipeline I’m still hoping to get a 4 pot vented brake setup up front to compliment the rear drums with new performance shoes. I’ve also been aware for some time that the exhaust system midpipe and tailpipe is very much homemade and horrible. Having properly investigated we’ve identified that near the tailpipe the diameter shrinks from about 2.5 to 1.5 which is really choking the engine I would imagine and needs to go. 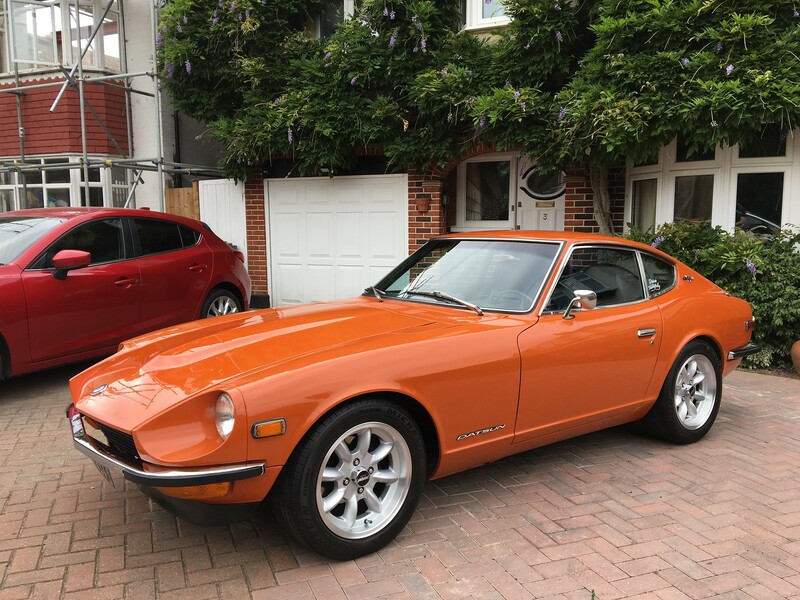 Currently toying with speaking to Z story about a new JDM muffler and midpipe to go with the current headers or even go the whole hog and replace the whole system which I’d love to if it can be justified. All being well we also have plans to sneak an AFR gauge into the factory gauge setup in place of the clock to keep things looking factory but being more functional. Aesthetics wise the project has taken somewhat of a turn with reality dawning that this is too nice a car to make it look like a race car despite my aspirations, I quite enjoy the fact that everyone thinks it’s just a standard 240Z with the exception of my crazy bosozuku style gear shifter. It’s only when you start talking to people that they realize all of the work that’s gone on under the skin. I may therefore continue to show restraint against spoilers and the like…. There’s been several stories and experiences as ever in the meantime and lots of little extra details however I’ve already written lots so I’ll leave it for now, enjoy the photos instead if you’ve made it this far. TimW, Jay. and toopy like this. Great work big boy. Seems like a lot of money well spent but at least you can enjoy it LOTS!!! I like the idea of strengthening before the bigger roll bar goes in. Now take your time and enjoy the journey!! Wow, certainly a well sorted beast now. Enjoy, looks a peach! Beautiful. Looking lovely, glad its driving well. How do you find having all the solid joints on the front end? I mean yeah I guess it's cool if you're into perfectly gorgeous things and stuff. Thanks dude, I was initially slightly concerned that the ride may be a bit harsh with all of the T3 items and coilovers however I've been really quite pleasantly surprised. The steering response and handling has dramatically improved beyond recognition, it handles bumps really well and rides nicely. It's a more sporty firm ride however the dampers work very well at responding to the road despite having solid mounts. I would say it's well worth it. My only slight concern is the longevity of exposed rose joints in our climate however the ACF50 seems to be doing a reasonable job now. In summary, far more compliant than I'd expect for the lack of rubber! You could always buy boots for the joints and fill them with grease. It’d be worth keeping an eye on the rose joints, they’re a ‘lifed’ Item so a swap out for new asa service item might be a good idea. 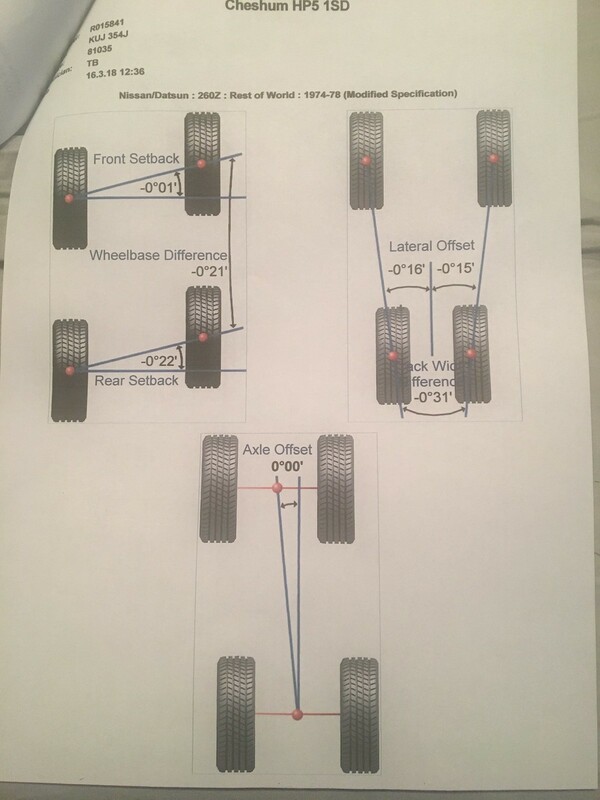 So with all the adjustability, what did you set your suspension up to? Will do in the long term, hopefully if needs be they are replaceable on the control arms without needing complete new units. Back on page 8 but here you go It could go back for a couple of small tweaks if I'm being critical but overall very happy. Very nice! You must be pleased as punch with it! 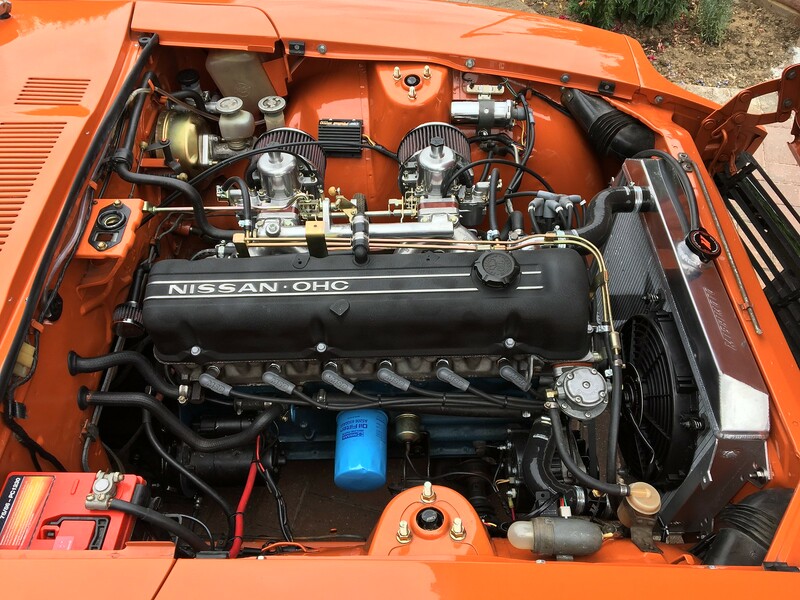 I have saved the pic of your engine bay as motivation to improve mine. Couple of things though: a) WHAT is going on with the gearknob and b) what is going on next door? Do they know the roof is missing?! Very pleased thanks Mike, it's a serious head turner! Thanks, the engine bay looks much tidier and of a standard the car deserves now. That is the most common question I get about the car now! The gearknob is a very JDM personal touch taking some inspiration from the Bosozoku style from the 70's and 80's. If you google it you'll see how crazy their custom builds are in Japan. I just wanted to add something a little crazy and different given how otherwise stock the car looks I guess.... I must admit it appears to be getting more hate and confusion rather than love right now for whatever reason! They're doing a building project splitting the house into two with a massive extension meaning it is currently dust galour for any car left on the driveway! Well I thought I'd put together a little update, the car is getting lots of use at the moment getting to various meets and going out on runs and drives just for the fun of it. I'm not sure exactly, but the car has definitely done well over 600 miles since the recent overhaul. There are still points to address however I'm too busy enjoying the beautiful weather to worry for now. I'm pleased to report that it's running very well, the engine in particular. The fuel economy is now where we'd expect it to be now with it being about 23-24 mpg with my enthusiastic driving and over 30mpg possible on motorway cruises now which has really impressed me. The engine is super rev happy, albeit stops really performing around 5.5k rpm and in reality is getting used to between 4-5k for spirited use. 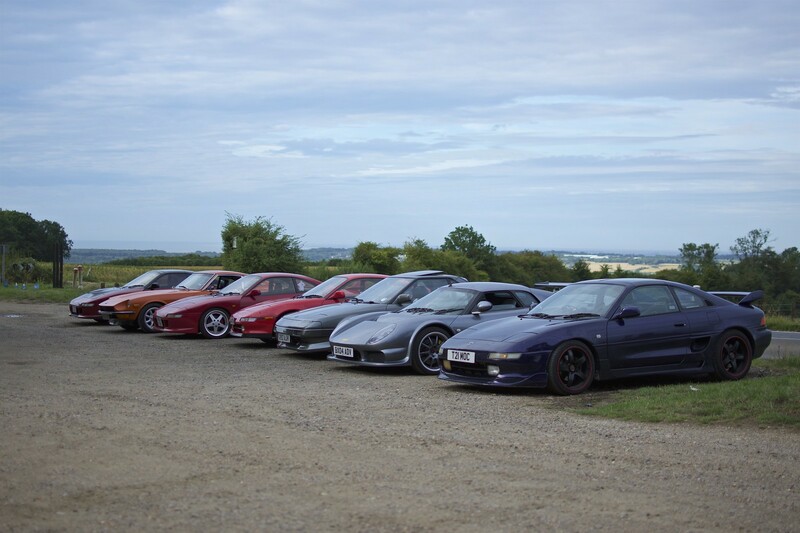 Handling wise now the car is very impressive, it needs the uprated front roll bar to dial out some under steer however on a recent drive out with the MR2OC it had no problems keeping up with cars with over double the power in several cases. It certainly surprised a friend in a Noble M12 at its ability to corner and get around roundabouts. It handles incredibly well for a car that is almost 48 years old now. As you can imagine it's no straight line monster and was left slightly lacking in that regard, however I've been too busy smiling and listening to the soundtrack to care! The car has just been accepted into the show and shine competition at JAE this year so I'll actually have to give it a proper clean and see how I get on, not something I've ever contemplated before however she looks so nice at the moment I thought what the hell. I've got a few show weekends coming up so more time to show her off to people and enjoy. WazzaJB and Paul_S like this. 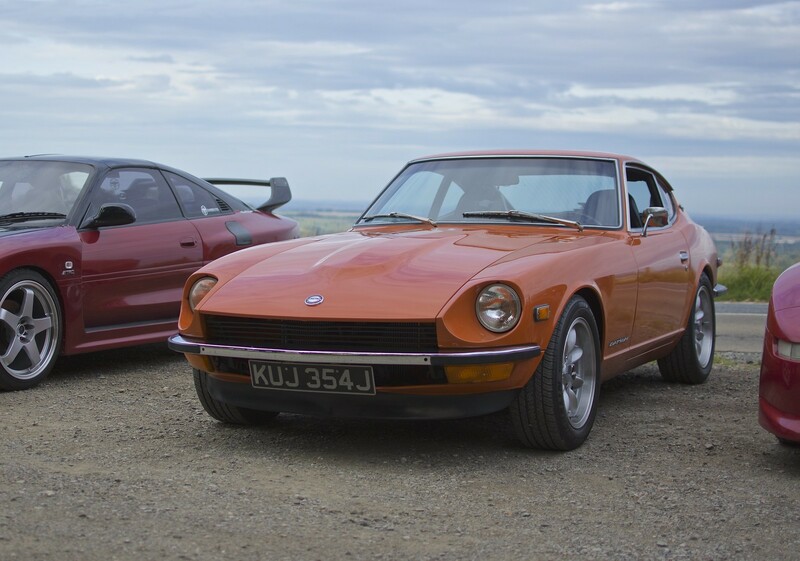 Your Z looks so properly old skool in that company! I just love what you're doing and actually in truth, hope to aspire to your detail..
Lovely car and yes they really do get attention from people who appreciate great styling. You say the car is 'super rev happy' but it stops performing at 5.5k. There is a lot more fun to come if you can get it to perform to 7k - plans? You say you want an uprated front anti-roll bar to eliminate understeer - it may have the opposite effect. On an adjustable car if you are suffering from understeer the first thing to try is to soften the front. These cars do understeer in slow corners - it's one of their limitations they push-out if you try too much power. Thanks dude, means a lot coming from someone who pays so much attention to detail You'll be pleased to hear that the car won JAE's show and shine competition for the best car in the retro category. Still a lot to do but we're making good progress, hopefully you'll see it in the flesh sometime soon. Thank you, haha don't get me started Rob. I'd love to have an engine that revs to 7k+, that would be amazing! 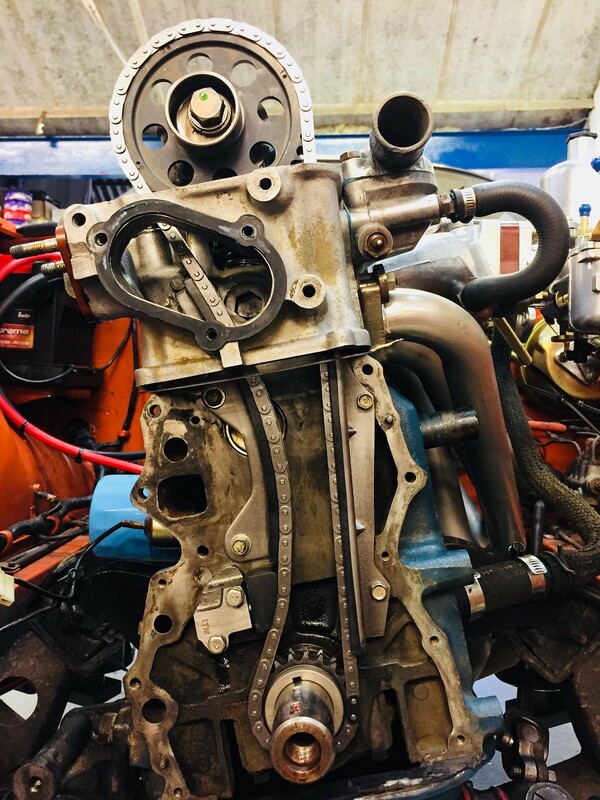 The long term plans still include finding an L28 with a view to build it to approx 230bhp ish with triple OER carbs, hopefully it'll be able to rev to 7k+ rpm then. Sadly in the current configuration looking at the cam specs its only designed to rev to about 5.6k rpm. Plan is to leave the current engine as is, very reliably for now and enjoy it for what its is. 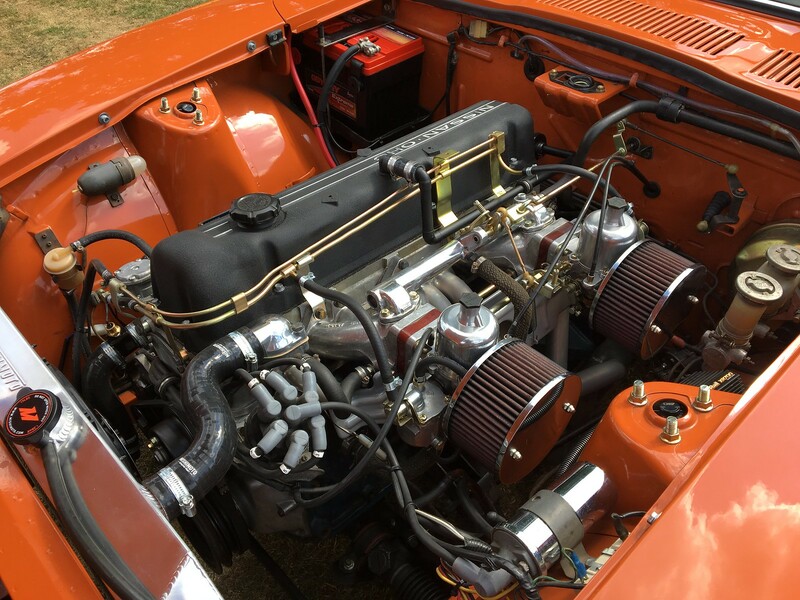 All funds are going towards getting the car properly setup and ready to handle the powertrain when funds allow, it's just having some more fine tuning and then it will be exhaust and brakes before we can even consider engine options. Thanks for the input regarding the handling, I'm aware that the BC's are still set very soft and can be dialled up at either end. I've been meaning to speak to someone in the know about this to change the damping settings as I don't fully know what to do myself but know it feels fairly soft which is great in terms of ride comfort but perhaps a little too soft when really pushing on... Maybe I should up the settings on the rear.